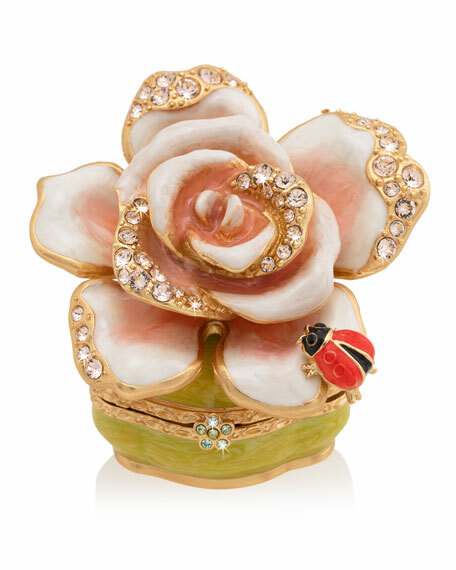 One singular beautiful jeweled rose on a celadon enameled box with a surprise of a ladybug. Metal finished in 14K matte gold, with hand painted blush pink enamel with Swarovski® crystals. Metal finished in 14-karat matte gold. Enamel and handset Swarovski® crystals. 2"W x 1.75"D x 2"T.